Choose a design layout. For most school projects, you will select "Presentation". The side tool bar allows you to select which feature you are designing. Choose a preselected layout or create your own. All of the text templates can be edited. Select a background color or image. 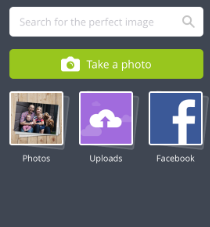 Upload photos from your camera roll to be used in your presentation. 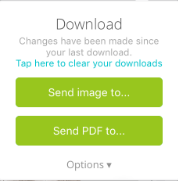 Select "Download" in the upper right hand corner. Find Schoology among the apps listed. Select the correct destination. 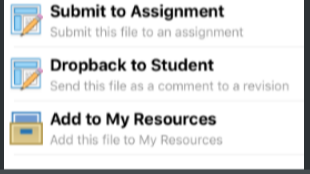 If you are "Submit to Assignment" then find the appropriate course and assignment in Schoology. Save the image to your camera roll and upload it to the Schoology Discussion from there.